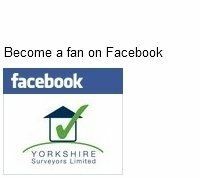 Yorkshire Surveyors Limited has the expertise and the experience to deliver a service of the highest quality at an affordable price, whatever your home survey or valuation needs. We cover the West Yorkshire Pennines, and major towns and conurbations into South Yorkshire from Huddersfield, Holmfirth, Halifax, Penistone, Sowerby Bridge, Sheffield and Barnsley. Call today for quality full structural surveys, RICS HomeBuyer Reports, and more. Competitive survey fees are always available from our Chartered Surveyors in Halifax and our Chartered Surveyors in Huddersfield. Our Home Buyer Surveys are extremely competitive from £345 + VAT. This is inclusive of all our disbursements, costs, and the publication fee that we have to pay the RICS for producing this report. This is the most comprehensive survey that you can have undertaken and is designed to tell you as much as possible from a visual inspection without destructive testing or sampling. 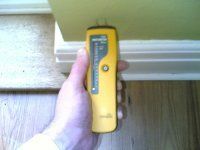 More correctly referred to as a Building Survey to avoid confusion with a structural engineer's report, this is what most people refer to as "a full structural survey". We can produce one of these reports from as little as £610 + VAT - cheaper than some of our competitors charge for less detailed surveys and valuations such as the RICS Homebuyer's Report. The old RICS Homebuyer Survey and Valuation Service (HSV) was withdrawn from sale on 31 March 2010 and officially replaced by the RICS Homebuyer Service (HBR). The RICS Homebuyer Report is now available from our Chartered Surveyors in Huddersfield and our Chartered Surveyors in Halifax. The new style report is a compact easy to read format with condition ratings for building components. Less detailed than a full Building Survey, this product is designed for those who want an economical alternative to relying on a mortgage valuation completed for a bank or building society alone. Please contact us for our competitive rates and more details. To find out more about any of the services we can provide, or if you have any other questions, get in touch on 01484 911100. You can also email us directly and we will respond as soon as possible. We look forward to your call.